You know what we love more than anything else in the world in MVP? Parties! And you know what goes hand in hand with every party ever? PARTY CAKES! Who makes the best occasion cakes in Dublin? or Ireland? We host loads of b-day parties and we’re always asked for recommendations. Who would you recommend? We’re gonna feature the most highly recommended cake makers and bakers and feature here and online each week to help you guys chose the tastiest creations around. This month’s cake boss award goes to Buttercream Dream, recently moved into their new home at Eatyard on South Richmond Street. 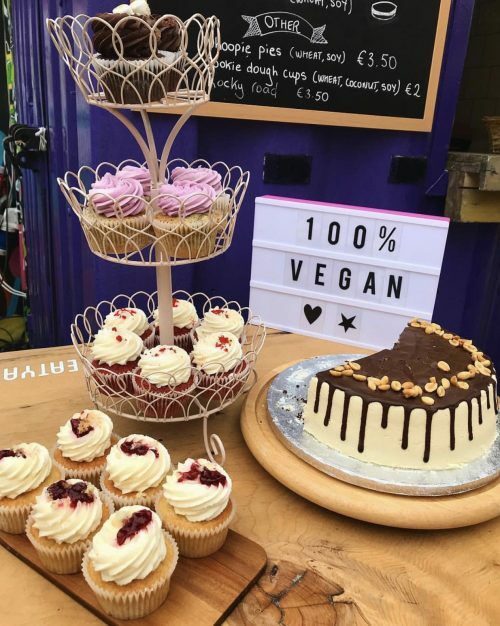 Buttercream Dream is already providing Dublin with vegan indulgence at its finest – think luxurious treats that satisfy not only your sweet tooth, but your conscience too. Our produce is produced in small batches for ultimate freshness and quality, using local non- GM ingredients and recyclable packaging and materials.